← Why Can’t The Texas Legislature Work Faster To Avoid Special Sessions Altogether? 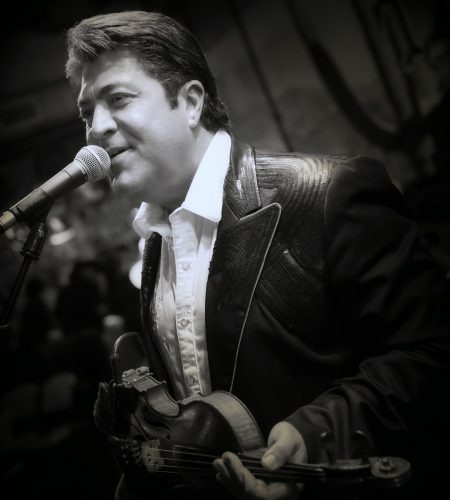 Bobby and the Yellow Rose band are some of the best contemporary players of traditional country and western swing. Bobby started playing on stage since he was 9, and has played and recorded with Willie Nelson, Doug Sahm, Johnny Bush and more. For 5 years, he was the legendary Ray Price’s fiddle player. $10 Suggested donation. All Proceeds to benefit Marfa Public Radio. Refreshments will be available. The USO Building is located at 302 S Highland Ave, Marfa, TX 79843. For more information and updates on the western swing dance and show, see our Facebook invite. Visit bobbyflores.com for more information on the band and music. This entry was posted in KRTS Events, KRTS Music and tagged marfa, Music, Texas Music, Western Swing. Bookmark the permalink.